Where do I start with Mexico? It’s such a huge country and and with so many well known places to see. Tulum, which is south of Cancun, is a favourite haunt. I like it because down here you can snorkel out to the reef and spend a few hours swimming about and then swim back to the beach when you are ready. No need to take tours down here. The beach is beautiful white sand and the water is warm. Also at Tulum are the Tulum Mayan ruins. They overlook the lovely inviting turquoise waters of the Caribbean Sea. Bus loads of tourists come every day but most stay further up the coast in Playa de Carmen or Cancun. This is good as it makes Tulum a quieter place to stay and the locals like it that way to. I used Tulum as a base and from here did Chichen Itza. There are buses running there every day and also to the Coba Ruins. Tulum and the surrounding area has the cenotes. The water in the cenotes is crystal clear but cool. Some are connected by underground rivers and caves and these are a divers dream. People come from all over the world to dive and snorkel here. There are plenty of dive centres in Tulum and surrounding towns and most hotels have a dive agency. One of the cenotes comes out in the sea. When you swim where the cold cenote water meets the sea water it looks like oil. Along the reef if you go snorkelling around 4pm this is a good time to see the turtles feeding. South of Tulum is another tourist spot called Sian Ka’an. North is Cozumel and Cancun and plenty of other spots to indulge yourself. Merida should not be missed either. For those who have never visited Acapulco I recommend that you visit la Isla de la Roqueta (Roqueta Island), an ideal island setting where you can either relax or enjoy some scuba diving. You’ll also want to check out the infamous La Quebrada, where fearless cliff divers plunge into the ocean below. If you’re looking for a little excitement of your own, Acapulco offers bungee jumping and parasailing, where from high above you can admire the stunning panoramic views of the bay, the hotel zone and the surrounding mountains. 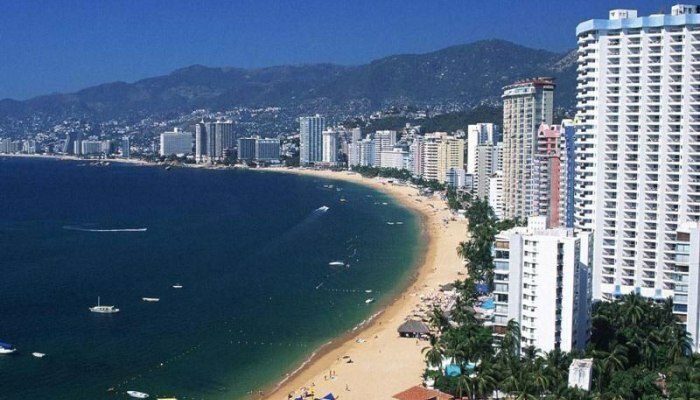 Nearby Acapulco, you can visit the beach of Pie de la Cuesta, known for its spectacular sunsets, or Puerto Marques, with it beautiful bay and calm waters. If you wish to take a tour in Acapulco then begin at CICI Aquatic Park, where you can enjoy water slides or a pool with manmade waves. Nearby is a beach where you can parachute, water-ski and kayak. At lunchtime you can dine at Beto’s and try the famous pescado a la talla (the grilled catch of the day), an Acapulco favourite. Beto’s is located in front of the Acapulco Convention Centre. You can ride down Costera Miguel Aleman Avenue in a horse-drawn carriage and in the Zocalo, you can take a stroll and cool off with a so-called esquimo, a refreshing drink that comes in many flavours. A visit to Taxco is a must and is about 33 kilometres from Iguala. In Taxco, an old sliver-mining town, you can walk down cobblestone streets, take in picturesque views of the red-tiled rooftops, visit art galleries and wander in and out of the town’s famous silver shops. Palenque. Yet another place to go see and climb Mayan Ruins. These ruins cover a large area and are surrounded by forest. It’s a beautiful setting and I spent many hours here. When sitting having my lunch I watched men mowing the lawn, so to speak. Climb the pyramids and see the view. I think next to Tikal in Guatemala these would have to be number 2 on my list. There is plenty of accommodation in Palenque and I like this little town. I caught a night bus from Tulum to get here and then the next day on to Oaxaca. Oaxaca has beaches, caves, waterfalls and lagoons. Their caverns and caves are the deepest in the world. The archaeological sites here are Monte Alban, which I went to, Mitla, Lambityeco, Dainzu and others. Monte Alban gives you a grand view north, south, east and west as it’s up on a hill, thus the name. It also covers a large area but is different in style to Palenque, Tulum, Chichen Itza and Coba. It’s more like Teotihuacan on the outskirts of Mexico City. This is where I headed next. In Mexico City’s zocalo you will see the largest flying flag in the world. Well I suppose it has to be seeing as Mexico City is the largest city in the world with approx. 33million inhabitants. And I got to see only a very small corner of it even though I took a taxi and travelled for a ½ hr to go to the NZ embassy. I as advised not to use the underground on my own so ended up not using it at all which didn’t matter as there was plenty to see within walking distance. There are 101 jewellery stores in and around the zocalo. There’s museums, parks, colonial neighbourhoods, gardens and nightlife. There is even a six flags amusement park. Mexico City is both modern and old. 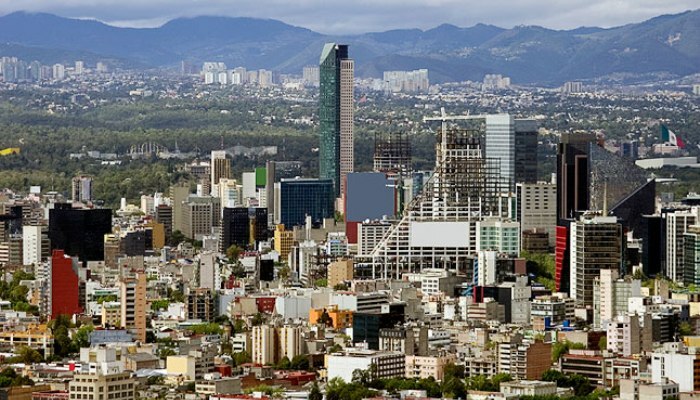 The modern is very modern which includes a lot of the underground due to the fact that Mexico gets hit by earthquakes. All buildings now are built to strict standards because of them. I met to young Mexican hombres while there and we are still friends to this day, in fact I went to stay with them in Monterrey this year. Monterrey is so hot. I was there when the Swine Flu broke out in May. 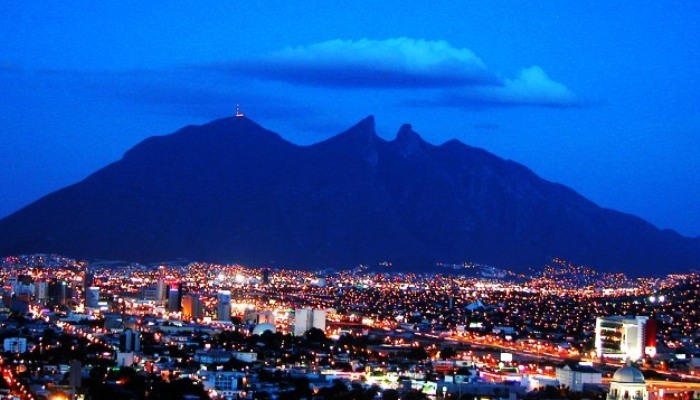 I like Monterrey and found it a very modern up to date city with some amazing architecture. The buildings and there bridges, I was taking photos left right and centre. In the centre of the city there is a canal about 2kms long which you can take a leisurely stroll or catch a boat. It’s a great area with plenty of grass to sit. There’s the old foundry to go through, restaurants and nightclubs. Go out of the city and you can go up a cable car to see stalagmite caves and some high cliff faces that attract rock climbers from many parts of the world. But look out for the heat in this city. Because it is surrounded by these huge rock mountains the heat doesn’t escape and it’s like being in an oven. There were a surprising number of tourists here but then it isn’t very far to the border of the USA and the state of Texas. This attracts Americans as the shopping is 1/10th the price of shopping in the US. Puerto Vallarta is on the Pacific Coast and the waters are warm here to. It’s a tourist Mecca and I missed this spot out. Guadalajara is in my list of places to also. The nightclubs are something else according to travellers I have met. Other places on everyone’s lips would have to be Tampico, Veracruz, Villahermosa,Tuxtla Gutierrez and Campeche. Campeche was added to UNESCO’s World Heritage Site list in 1999. It has a walled city centre, cobbled streets and many preserved mansions. Leave the walled city and you will find a pedestrian walkway down to a quiet waterfront and markets along the way. 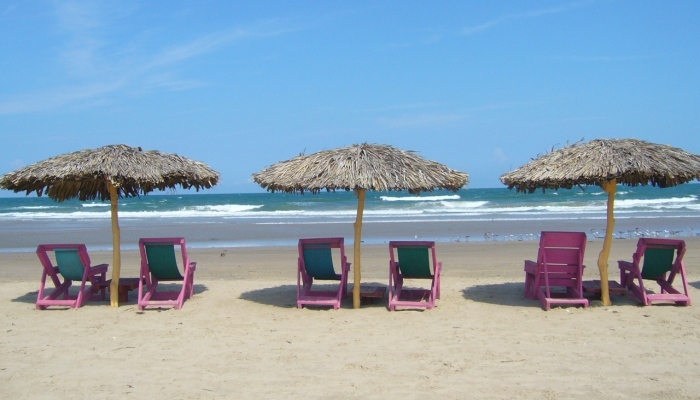 Tampico is Mexico’s busiest port and has every fast food outlet you can think of. The Plaza de Armas has recently been restored in a bid to attract more tourism. There is so much to see in Mexico like every other country in the world. I have only named a few of the Mayan Ruins that you can do and touched on the main tourist areas but don’t forget to get out to the smaller places or better still volunteer for awhile or learn Spanish with a host family. Taking a bus in Mexico is no big deal but if taking a night bus wear jeans and take a sweater. They love to have the air-conditioning really cold! Small blanket would be better if you have room to carry one with you. Buses are always on time I found so get there a little ahead of time. When crossing by foot or car into Mexico you will be given a longish piece of white paper at immigration. Read the top carefully. It requires you to go to any bank in Mexico and pay a fee. You cannot leave the country until you show the receipt to prove you paid it. All banks know what this form is. Don’t lose it!! No airports have a facility for you to pay it there. When stay between Playa de Carmen and Tulum take a collectivo up and down the coast. They are so cheap and drop you off where you want. Statistics say that Mexico is the country at the top of the list for the ‘most likely place to get kidnapped’. It has happened as recently as last year so be careful and don’t go wandering alone at night or put yourself in danger. Common sense – use it! If you want to go snorkelling off the beach from Tulum or anywhere along that stretch of coast there is usually someone with flippers and goggles for hire on the beach. You will also find someone selling bottled water and snacks so take a little money with you. I have found it to be safe to leave your things on the beach when swimming. Go in pairs to ride the underground in Mexico City. Again, just use your common sense.